Cities around the world have been experimenting participatory processes - in peace building, mapping, and ensuring women's safety, for example. Such approaches have the advantages of involving the very people concerned with the issues at stake. Yet, it does require important training, pedagogy and follow up as the communities are not always familiar with the tools or the methods used. Learn from four cities in Latin America and India where community-based approaches have been implemented on a diverse range of topics. According to Jorge Bela, preparing for the post-conflict period is perhaps the most significant challenge that Colombia currently faces. Cali, a city highly vulnerable to problems due to its geographical proximity to large areas still under guerrilla control, has paid particular attention to this issue. One municipal initiative in Cali is the "peace awards." These awards include both individual (Vecinos Calidosos award) and community-led initiatives (Iniciativas Comunitarias award). Participation in the program is open to victims of the armed conflicts and to other individuals or collectives at social risk. The Red Cross also runs the Un Camino Hacia la Paz program which is designed to support the Potrero Grande neighborhood (a planned community built to house some of the people displaced by the conflict). Another interesting initiative led by the Asesoría de Paz was the painting of 29 facades and one bus station by demobilized former combatants. In Bangalore, community-based approaches have been used by the Participatory Aquifer Mapping (PAQM) project to understand aquifers at a micro-level, include citizens in the process, and develop "actionable knowledge" that encourages practices for sustainable groundwater management. 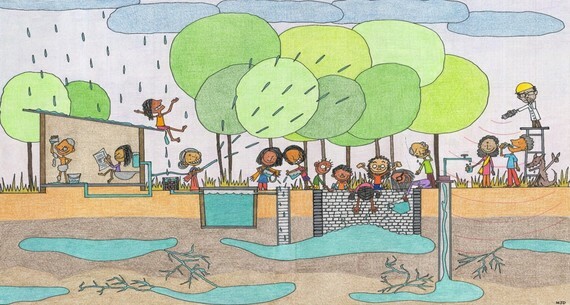 PAQM is a collaborative project, gathering various organizations Biome Environmental Trust (Biome), a Bengaluru-based organization working in the space of sustainable water and sanitation; hydrogeologists from Pune; Mapunity, a software team from Bengaluru; and financial assistance from Wipro technologies private limited as part of the company's sustainability initiatives. The team has achieved a preliminary understanding of the aquifers in the region. However, Aditi Hastak highlights the challenge of communicating these results to the community in an intelligible way, so that the community benefits and this knowledge doesn't become a mere academic exercise but rather an actionable resource. In Mumbai, Ashali Bhandari talks about initiatives like Society for Nutrition, Education & Health Action's (SNEHA) Little Sister Project and Safe City, which crowd source data on gender-based violence to reduce crimes against women. The Little Sister Project provides women in Dharavi with technology, enabling them to record and map reported cases of violence in the hope of circumventing under reporting. Since June 2014, over 1,000 cases of violence have been reported, averaging at 60 cases every month. On a larger scale, Safecity emerged as a platform for women to report incidents of sexual violence in public spaces in urban India. Along with details about specific incidents, women now have the ability to geotag crimes, creating a map of "hotspots" to identify zones of harassment. Over the last three years, more than 7,500 experiences have been documented on the platform. 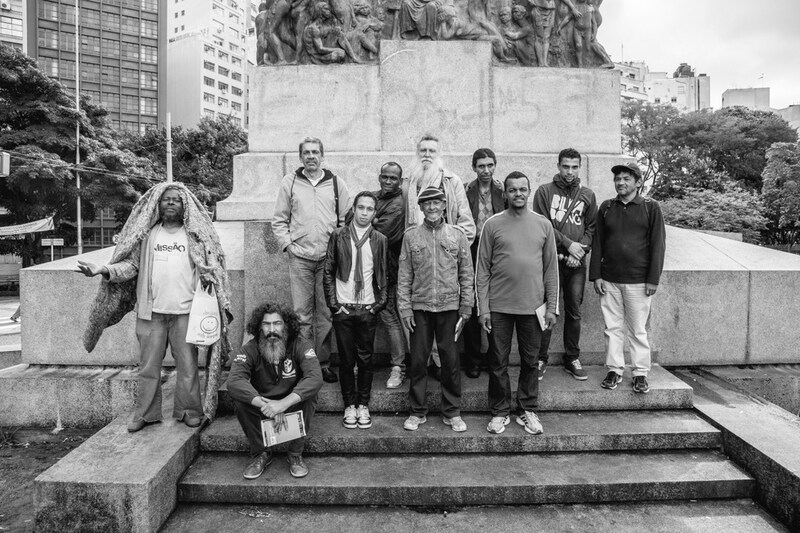 In another field, Felipe Villela presents the first Social Participative Research of Street People, made by the homeless themselves in Sao Paulo. It took almost 170 interviews and more than 500 informal chats to know what homelessness is really like in the city. The research was requested by the StreetPop Committee, a participatory forum with civil society and public agencies delegates linked to the Municipal Secretariat for Human Rights and Citizenship. The Committee helped in selecting the homeless researchers. Every day for eight months, 10 researchers took part in psychoanalyses groups, field work planning advising, and interview techniques workshops with professional journalists. Afterwards, they went back rambling about the streets to research. Among the 13 homeless researchers initially selected only seven managed to finish the job. Now, the ones that stayed were invited to join the municipality's Work Opportunities Program. They will earn a year grant to develop solidarity economy projects. These articles presented initiatives from around the world to help foster innovative bottom-up solutions successfully. Check out more of the discussion on urban poverty and bottom-up approaches on URB.im and contribute to the debate.